Continuing the quest for healthy eating with a modern hectic schedule, I decided to address other nutritional problems that may influence your diet. After all it’s easier to justify eating danish when all veg and fruit in your fridge rotted and you are feeling too tired to cook after work. These gadgets can help you eat fresh produce throughout the week, cook healthy meals while at work, and keep your meals flavorful and delicious. Tired of losing half of your fresh produce to rot? 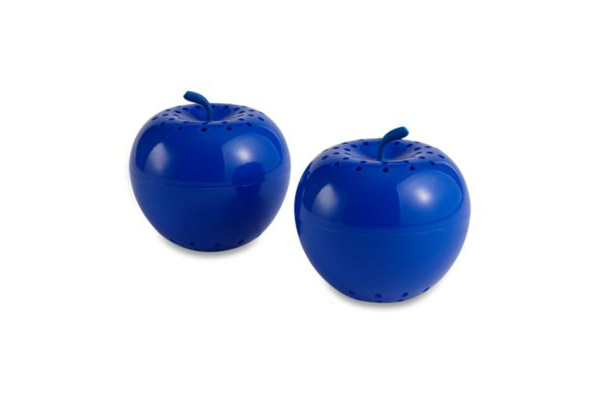 Blueapple is a gagdet that absorbs ethylen gas produced by fruit for uniform ripenning and speeds up spoilage when stored in a fridge, which helps prolong produce freshness and allow you to eat perishables throughout the week. 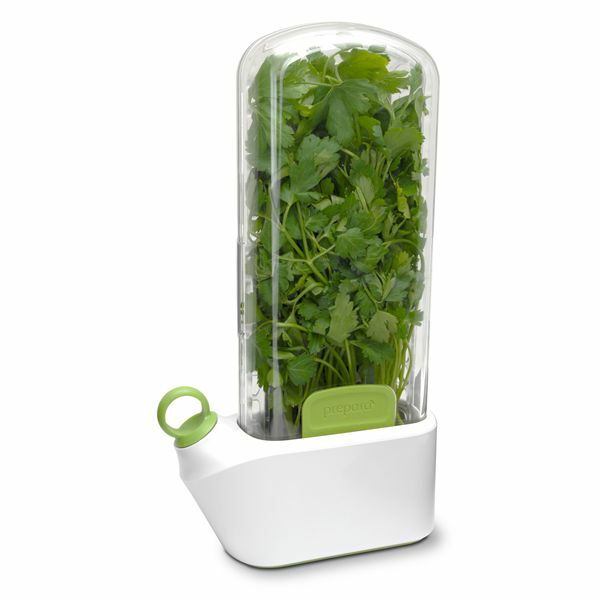 Herb saver is a small pod that allows to store your herbs long enough to be consumed fresh and fragrant. 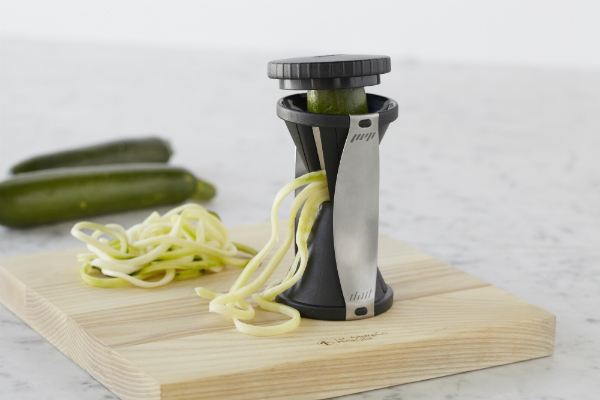 Spiralizer basically turns any vegetable into pasta. If you can’t eat them whole, this is a great alternative to both salads and actual pasta. Add a bit of olive oil to your veggie pasta of choice and eat with a good oiece of protein. 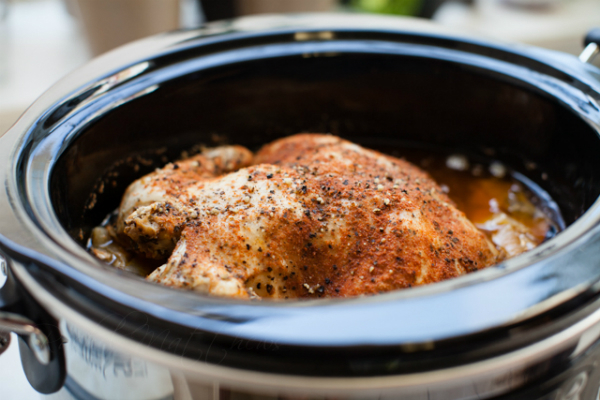 A slow cooker is a life-saver for busy people. If you don’t have time to spend in front of the stove, a slow cooker will do everything by itself, it only needs a few ingredients and a set program. No more TV dinners, pizza, and late night takeouts. 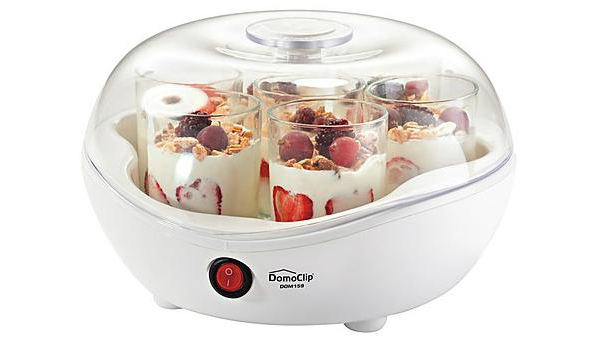 Yogurt machine is a life-saver not only for regular yogurt addicts who spend hundreds of bucks in the dairy department, but also for the lactose intolerant who can make yogurt with soy, coconut, and almond milk. My sister even makes the one with cashew nuts. If you have extra cash to spend you can choose an oil mister if you cook often and want to control your meals’ calorie content without all the weighing and counting. Or you could buy one of those cool infuser water bottles to drink delicious PBA-free fruity water instead of plastic bottled water and soda.